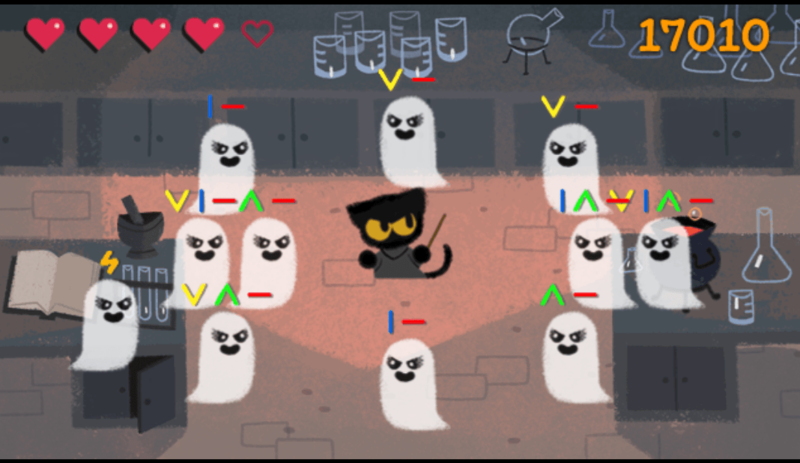 Google Doodles are always a good laugh. This year’s Halloween one is no exception. Before I spoil it for you, you should go and check it out. No, seriously. Do it. Adorable, right? 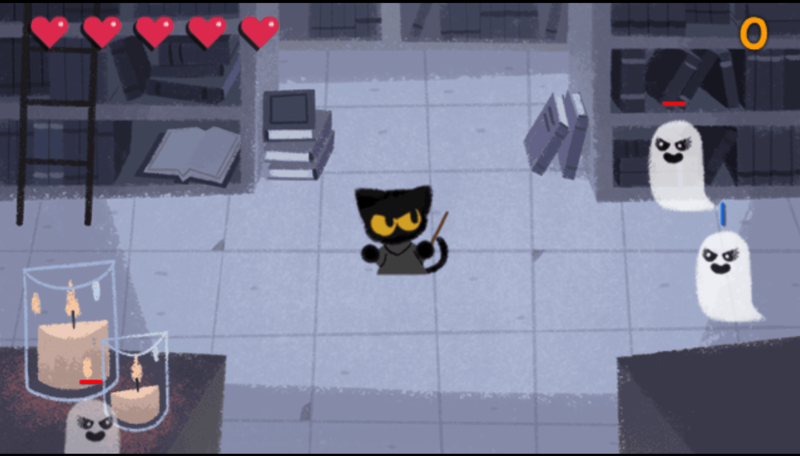 In it, you play the protagonist – a feline witch called Momo, in a kind-of zoological Hogwarts. While you’re hard at work in the library, ghosts burst in, wrecking the place. Your job is to fight them off. To do that, you’ve got to cast the right spell. This is done by drawing symbols that correspond with those shown above each ghost. 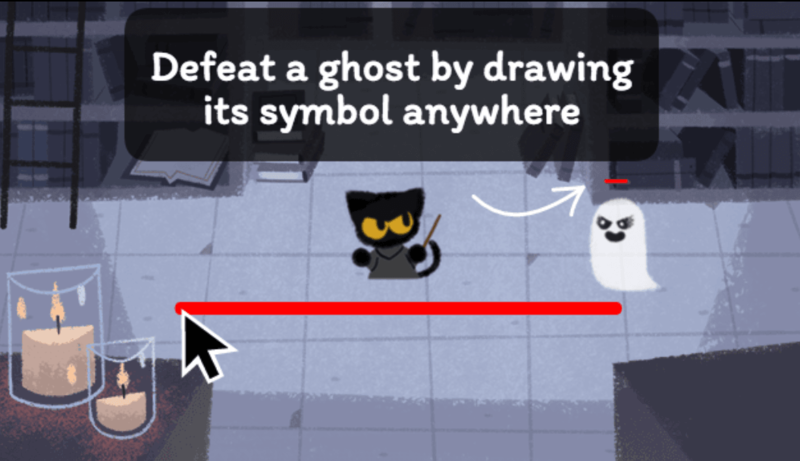 As you progress, the ghosts get tougher and faster, and it becomes a fast-paced fight to stay alive. It’s a ridiculously fun way to procrastinate at work, much like I’m doing now. Bravo Google. Bravo.